There are many ways you can help restore trails damaged by the Thomas Fire. Our goal is to provide a variety of ways you can become involved so you can find the one that is right for you. 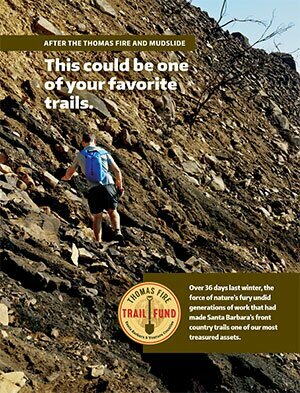 Check out the Thomas Fire Trail Fund brochure. It is a quick and easy read.